It might not surprise you at all if we told you that smoking has been confirmed to be the main source of preventable diseases and illnesses as well as the main cause of premature mortality in the whole world. Smoking actually kills about 6 million people around the world every single year. And from all this, which is even worse, about 600,000 are the results of passive smoking, this is people who do not smoke but suffer from the effects of people smoking next to them. In the next 20 years or so, these numbers could rise to more than 8 million deaths per year worldwide. Nowadays, it is estimated that around 15 billion cigarettes are smoked in the world each day. You find this astonishing? Then scroll down the following smoking facts, because your astonishment has just begun. 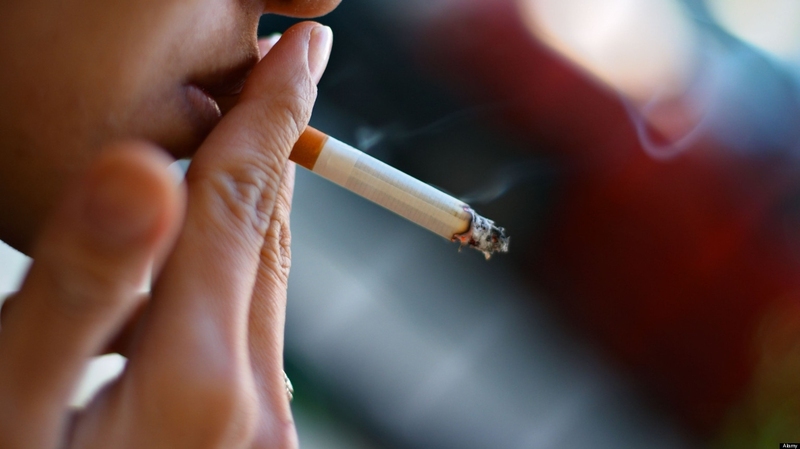 Do you think you know exactly how bad smoking is for you and why? Read the smoking facts. Nicotine, a stimulant drug contained in cigarettes, is the main cause of health degradation after smoking. A single cigarette contains over 7,000 chemicals, a massive cocktail! If it weren’t enough, 69 of them have been proven to cause cancer. If you are addicted to smoking, you develop a dependency that results in the following consequences whenever you are abstinent: irritability, hunger, craving, anxiety, agitation, headaches, difficulty to concentrate and others. Only by smoking do these alleviate. Smoking is a relevant factor in the formation of many conditions and disorders, such as infertility, ulcers, slowed healing of wounds, but the list of actual diseases that are caused directly or influenced by smoking is astonishing: from all sorts of pulmonary diseases, such as obstructive problems to bronchitis to heart problems such as strokes or coronary, along with abdominal aneurysm, leukemia, pneumonia or cataract, and a wide arrange of cancers: lung, throat, oral, kidney, stomach, esophageal, laryngeal and pancreatic, etc. About 25% of all babies born below the average weight have been proven to be born from a mother that smoked during her pregnancy period. But not only that, because 14% of preterm births and about 10% of all infant deaths have also been statistically confirmed to be linked to mothers smoking while being pregnant. But even children that look healthy and in perfect condition have been found to have reduced lung functions and narrowed airways for the same reason. In some poor and developing countries, children of low birth, who come from humble origins are often employed for tobacco companies as the only hope for their families. These children develop a vulnerability to something called the “green tobacco sickness”, caused by the absorption of the skin of nicotine from wet tobacco leaves. 73% of conditions and sicknesses related to smoking are directly linked to chronic lung disease. Even for ex-smokers that quit their vice years from now (the numbers are actual), chronic lung disease accounts for 50% of their conditions. Every time you count 6 seconds, one person has died due to smoking causes, as an estimate. This also means that 1 in every 10 adult deaths is directly linked to cigarette smoking. Also, about half current smokers will die from causes directly or indirectly linked to smoking in the future. Smoking a single cigarette reduces you expected life span by 11 minutes. According to CDC (Centers for Disease Control and Prevention), men who smoke die about 13.2 years before the normal; women almost 14.5 years before than they should. About 80% of all global smokers (there are about one billion in the whole world) live in either low or middle income countries. More than 30% of all cancers could be avoided by stopping or reducing radically tobacco and alcohol consumption, while also having a healthy diet and exercising regularly. Smokers who stop before the age of 35 see their life expectancy rate decreased by a very minimal amount compared to those who have never smoked. Smokers who stop their vice before the age of 50 decrease their risk of dying from smoking-related diseases by about 50%. Secondhand smoke is the one we have all suffered in bars, pubs, restaurants, at the office in the past and in many other enclosed spaces where people still smoke or used to smoke. Whatever the amount of smoke in the air, it is detrimental for our health. 600,000 premature deaths take place every year all over the world from passive or secondhand smoke. Secondhand smoke is now known for a fact to have caused in many adults very serious cardiovascular and respiratory diseases, including heart and lung cancer. Almost 50% of the infant population breathe cigarette smoke every day in public or enclosed places. Over 40% of the children have either one of their parents who are regular smokers. Children below the age of 16 are more likely to contract asthma and nose, ear and chest infections when they live in a home where there is at least one smoker. They also become more likely to die from a bed death, perform below the average in reading and reasoning tests or activities compared with children that are not under their same condition and have a bigger chance of dying from a smoking-related cancer as an adult. It also causes a lesser pregnancy rate in women. Adolf Hitler was the first man in history to start a public anti-smoking campaign. According to polls and statistics, 70% of smokers want to quit completely. Just 24 countries in the world, representing a total of 10% of the whole world’s population have forbidden tobacco advertisements and sponsors. About 30% of all countries have either minimal or no restrictions. It is believed that if tobacco advertising was banned all over the world, consumption could fell by about 7%, and some countries could even see their smoking rate fall by as much as 20%. Fully quitting the habit requires in most cases multiple attempts. Counseling and mediation also increase the chances of an attempt being successful, even more if both measures are taken together.